Serenitea: Get Your Milk Tea On! I was never really fond of those fancy coffee places that sell coffee with whipped cream. 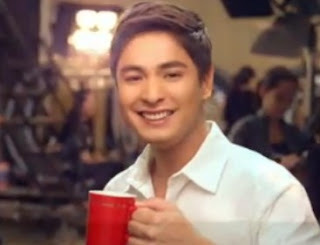 For my untrained tongue, their Php150 coffee tastes the same as Coco Martin's Nestle 3-in-1 Brown and Creamy coffee. Maybe the fancy-schmancy one tastes a bit sweeter, however the bottom line taste for me is the same. But for some reason, I really, really, really like milk tea. 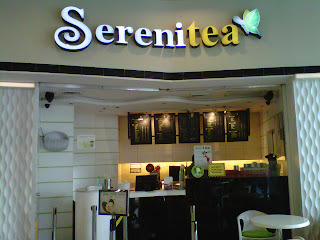 One of my go-to milk tea spots is Serenitea. 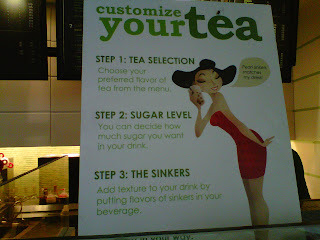 At Serenitea, you can customize how sweet you want your beverage to be and what sinkers (them floating thingamabobs that they put in your tea) you want added. 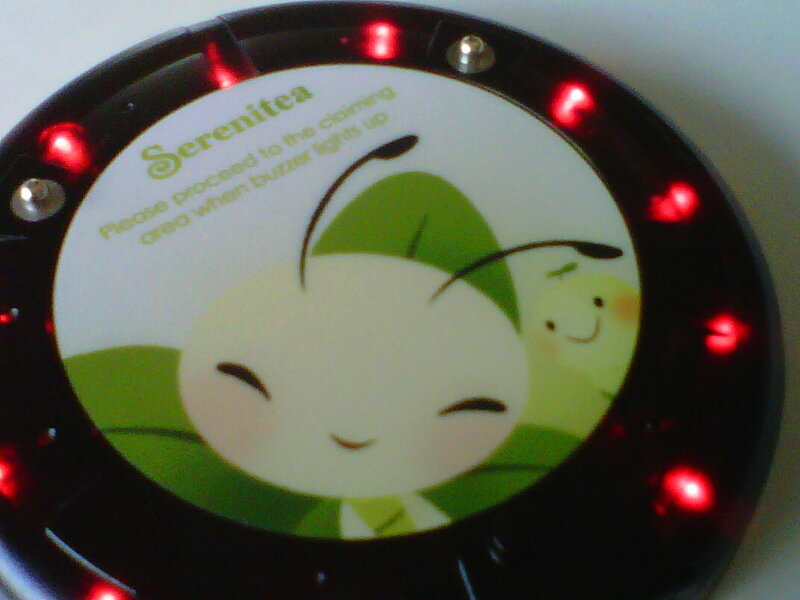 After you place your order, one of the cool things that Serenitea has is that when you order, they will give you this black disc which will indicate when your order is ready. When it is ready, the disc vibrates and lights up! I usually order their Okinawa (milk tea and brown sugar) while Deep Tissue Massage boy loves his Hokkaido (milk tea with caramel). I like Okinawa because I can clearly taste the black assam tea infused with milk. Yum! Needs improvement: I have not tried other flavors so I am not sure if the other ones sucka$$. What we like: Okinawa! DTM likes Hokkaido but I think it masks the tea taste. Verdict: For milk tea beginners, get Okinawa. 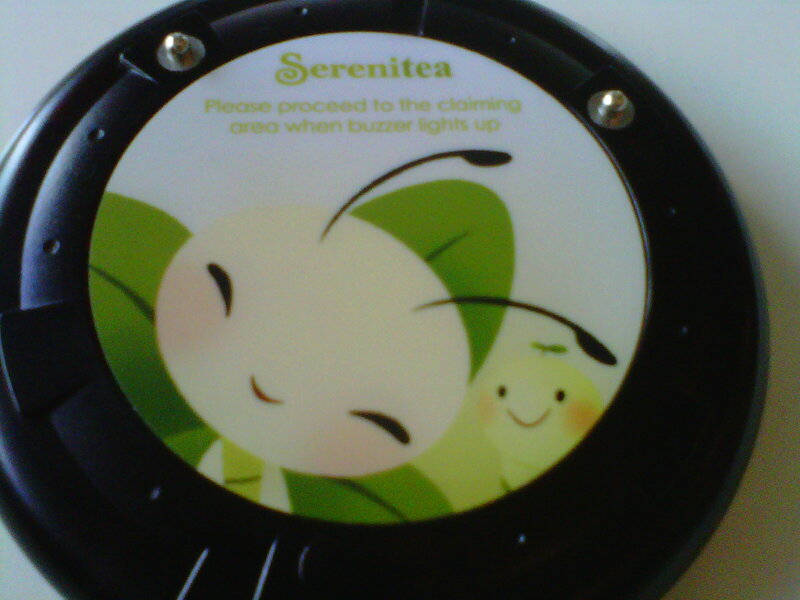 Serenitea will forever be my milk tea place. Sorry Happy Lemon. I love serenitea. :) tried chatime, gongcha, happy lemon and bubble tea.. 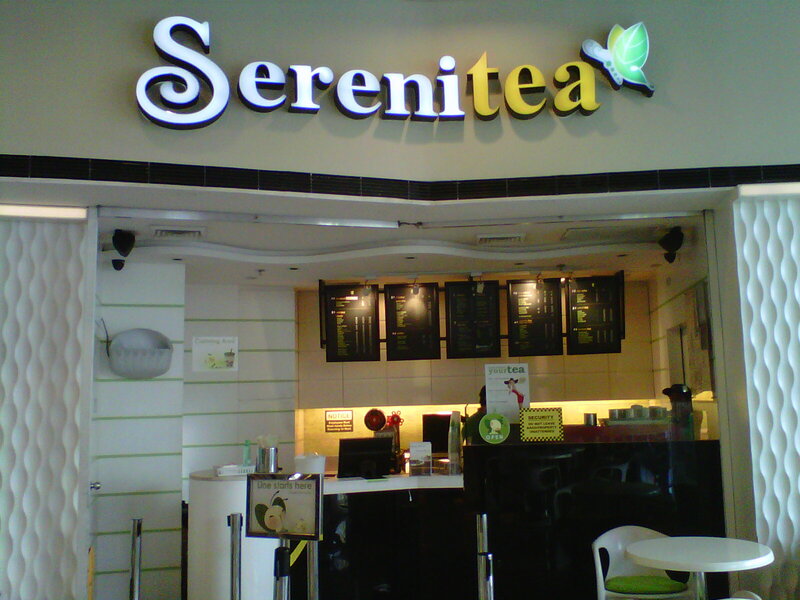 The first time that I tried Serenitea was, I dunno, 2009 or 2010? And they first recommended the Hokkaido to me. I was in love; haha, because it was so sweet! 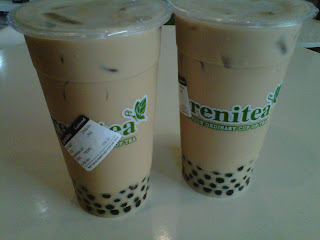 But later on, I got to appreciate the real taste of milk tea without too much sugar.